You may need to perform this if you are attempting to run iMindMap from behind a proxy server or firewall which is blocking connection to our servers. 4. Locate a familiar location on your computer such as your Desktop and then click Save. 6. After logging in scroll down to Step 2 on the web page and select 'Choose File' on the web page itself. 7. Locate and select the imm_activation.imxa file that you saved in Step 4 of these instructions. 8. Once you have selected the .IMXA file, select the Activate button. 9. 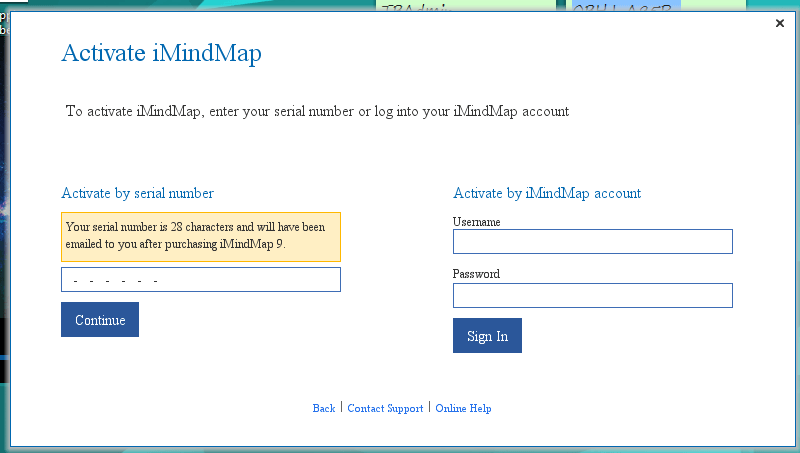 You will then be able to download the activated .IMXL file needed to activate iMindMap 9 successfully. 10. Once you have downloaded the .IMXL file, go back to iMindMap 9 and choose 'Select Activation File'. Then choose the .IMXL file in order to activate iMindMap 9 successfully.